Why Mobile in the First Place? It’s no secret that the mobile gaming business is booming with the increased adoption of smart phones. Games for smart phones such as Candy Crush, Angry Birds, Clash of Clans, and Temple Run, need no introduction to most people. Many of these games are “free” to download, but allow players to spend money on unlockables or get around certain game-imposed time restrictions. The pay-as-you-play nature of many mobile games is a booming model and mobile game revenue is set to overtake console gaming this year with estimated mobile revenues of $30.3 billion worldwide compared to console’s estimated $26.4 billion. Mobile games are particularly popular among casual gamers who do not want to spend a couple of hundreds of dollars on a dedicated console and in emerging markets in the Eastern part of the world where the free-to-play model reduces the entry price of new players. It’s no surprise that many gaming companies wish to enter or augment their presence in the mobile space. Sony’s PlayStation 4 and Microsoft’s Xbox One have seen tremendous sales throughout its first two years of life. Not even Sony, who is currently producing the number one console worldwide, understands why sales are as high as they are. The consoles are being adopted as a quicker pace than previous generations, but still do not have any must-have games. Only a few AAA titles have made their way onto the consoles with this new generation of consoles seeing more HD remasters and ports than ever before. Some may argue that every console generation suffers from this at the beginning and they may be right. Regardless, the user base is there – they’re just waiting for the games. Why One or the Other? That’s just it. There’s no reason why mobile and console games cannot continue to co-exist. 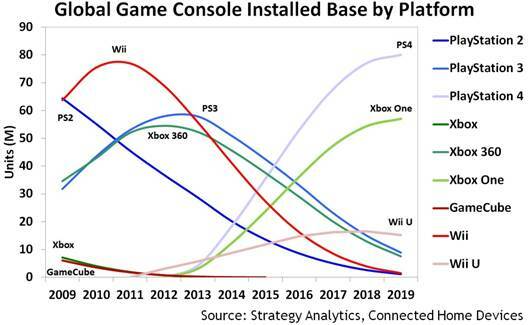 As we are seeing, the consoles are seeing a healthy adoption rate this generation and there are some experiences that can only be done on a console where players play on a giant screen and immerse themselves in another world. Sound familiar? It’s the same battle being fought by movie theaters and other mobile video options such as YouTube, Vimeo, Netflix, and Amazon Instant Video. Can anyone imagine experiencing The Avengers anywhere else but in a theater? Sure, this isn’t a completely apples-to-apples comparison since people do choose to watch movies on their phones and people can choose to watch YouTube on their giant TVs at home, but this just makes the console vs. mobile war all the more compelling. Each platform provides something the other doesn’t due to control schemes (touch screen vs. controller), connectivity (think GPS-based games), and immersion (a console will ultimately be able to immerse a player more with better graphics and music). Unfortunately for console gamers who are waiting for these AAA titles to appears, the amount of titles will decrease and the gap between titles will increase due to the cost of these titles. Companies will be looking for more stable sources of revenue, which can be obtained in mobile due to the shorter development cycle, and making more calculated bets on the expensive console games. Eventually, this could cause players to shun console gaming in the future if companies are unable to provide AAA games that meet the players’ threshold to be spending money on a console. If that ever happened, it would be a sad day for gaming. Hopefully the PC market for games will still be around and the big console companies such as Sony and Nintendo have already moved on to a cloud-based service, effectively dismantling the need for a dedicated console. Companies should instead look to balance the books by not throwing money into lackluster elements of game development and designate teams to varying levels of development. As is we pretty much have tiny titles and massive ones with the mid tier being patheticly tiny. I completely agree with this. Konami is definitely throwing everything out instead of managing its finances to satisfy the demands of gamers. I think we saw the backlash gamers had with Kojima’s departure and the cancellation of Silent Hills. We’ll see how well Konami does in the future. 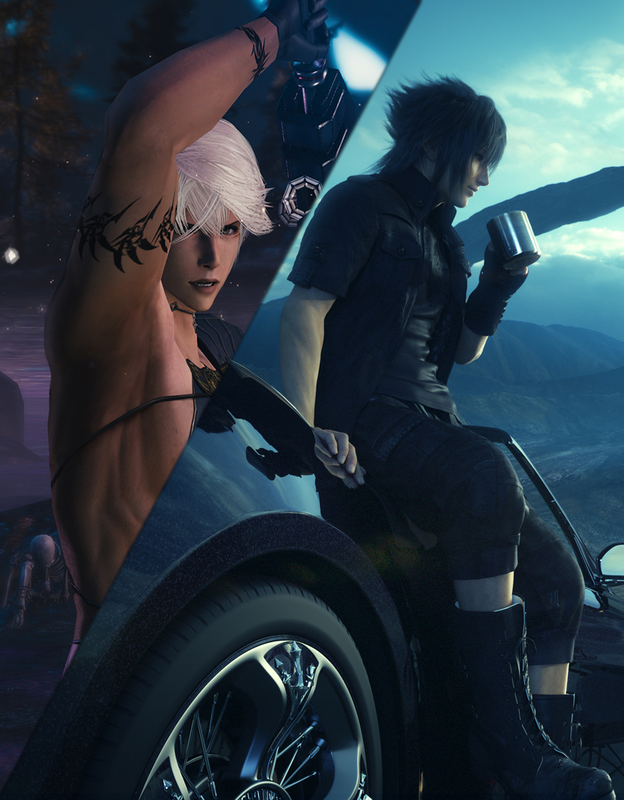 A more balanced approach like what we’ve seen so far from Square Enix and Nintendo would be best. I recall a story of an adviser in a meeting at some company, they had two options the cheap game with a big return and the expensive with with a much smaller return. They went with the larger one because they don’t have any teams to make small games, that is a sign of bad business practice that you don’t even have the preparation for easy money with a smaller, safer title.